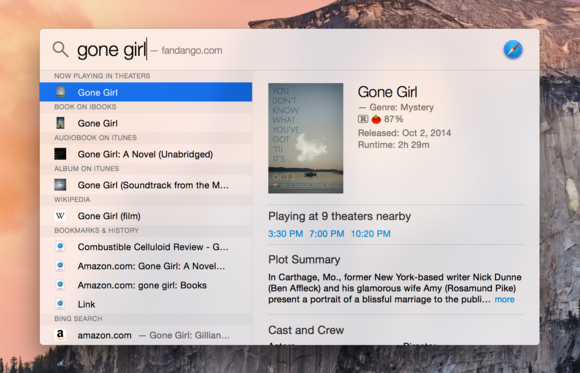 Apple’s Spotlight feature got a tune-up for OS X Yosemite and iOS 8. The search function now scours the Internet as well as your hard drive when you type queries into the Spotlight bar (with a little help from Bing). But privacy watchdogs accused Apple on Monday of being a little too helpful by automatically collecting your location data and search terms and sharing that data with Bing. Apple’s response: That’s not exactly how Spotlight works. The company does need to see your searches so it can offer you Spotlight Suggestions, and it sees which suggestion you pick from the list. If you have Location Services turned on, Apple can recommend more specialized suggestions. But Apple doesn’t save the results that pop up on your own Mac or share that information with Microsoft. In fact, Microsoft only sees common search terms. You can turn off Location Services altogether in Yosemite and iOS 8, though Apple might use your IP address to tell which region you’re in. 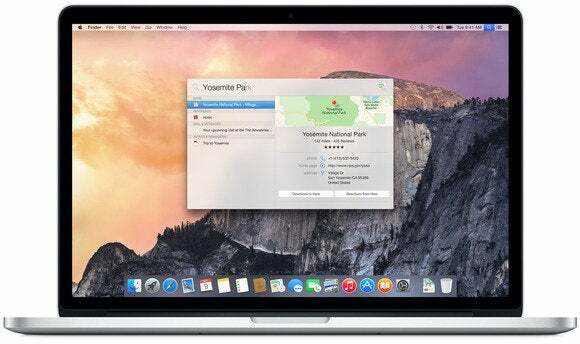 Why this matters: Apple is wading into sensitive territory with new features in Yosemite and iOS 8 and on new iPhones. It has worked diligently to reassure users that privacy and security are high priority as services like Apple Pay and HealthKit tap into your financial and medical information. The company has to prove it can be trusted with search results if people are going to hand over more personal data. Spotlight has widened its search to the Internet with the help of Bing. Your searches aren’t tied back to you, as Apple has made clear in the months leading up to iOS 8 and OS X Yosemite’s rollout. Apple reiterated those privacy measures in a statement to The Verge on Monday night, and noted that you can opt out of Spotlight Suggestions and turn off Location Services. The company also said it doesn’t share IP addresses with Microsoft in the event that it needs to determine your general location to offer a search result. Are you persuaded by Apple’s reassurances, or do Spotlight Suggestions creep you out? Let us know in the comments.